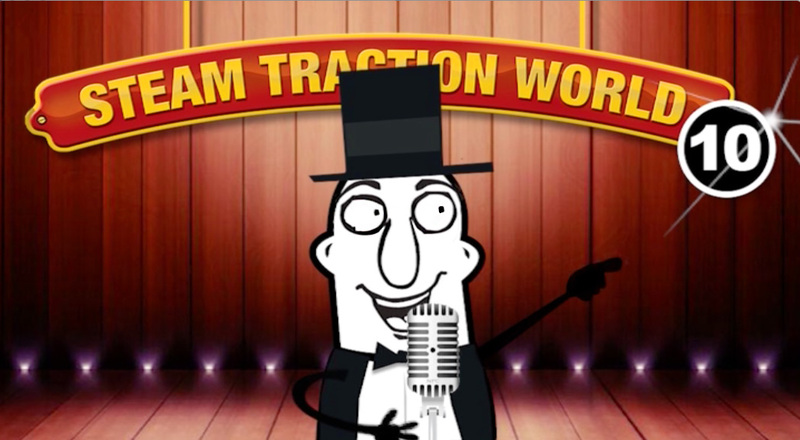 Over the past few years we have produced a number of animations for Steam Traction World to send out as a thank you to their customers. Based in Daventry, Northamptonshire, Steam Traction World produce working scale models of steam traction engines. Year on year the films have become more popular and the anticipation seems to be (almost as) popular as the Christmas John Lewis adverts. The films pick up on festive favourites, are often parodies of songs and feature a number of characters on the TV adverts such as Bear and the Hare and Kevin the Carrot. Due to the terrible news we received, 2018’s original film idea, we had been working on, was scrapped and this new one was produced instead. We hope it is a fitting tribute. Over the past few years our Christmas gift for all our friends and supporters has been a humorous adventure and song often featuring the engines and staff from Steam Traction World. Our very own character (we’ve called Dave) has been the performer for the previous two Christmases with a star-studded singing parody last year. This year, due to the sad and devastating news we all received, Dave doesn’t feel like singing anymore and, perhaps like all of us at the moment, heads off to find some answers. It’s a film none of us wanted to make. With the commemorations of the centenary of the end of the Great War, there is a gravestone for Private James Amos Hughes (No. 46669) of the Oxford and Bucks Light Infantry in our local cemetery. James was killed on 11th November, 1918. Armistice Day, he was 22. There is no good day to die but perhaps if James had survived one more day, he could have lived for many more years. Steve recently said to me “Growing old isn’t very nice.” Steve wasn’t old he? He was a fantastic man – knowledgeable, clever, often very funny and ultimately very brave. Diagnosed in the beginning of 2017 with the later stages of Prostate Cancer, Steve was able to spend some quality time for himself before treatment and the pokes and prods from all the specialists was to begin and travelled, visited friends and enjoyed life with the full knowledge of the dark days that were to shortly follow. Steve was able to enjoy the 10th Anniversary of Steam Traction World at the Banbury rally and to visit Great Dorset for their 50th Anniversary this year. He enjoyed both shows immensely. Steve was suffering in his last few weeks and the void he now leaves with his family, friends and colleagues is now helped a little with the knowledge he is suffering no longer. May he rest in peace. Steam was Steve’s passion and we wish to continue his work. No doubt, Steam Traction World is a lesser place without Steve but it has galvanised the staff to ensure the company flourishes in memory of one of it’s founders. To work harder, to supply a higher quality, to send our your kits sooner, for you, both our loyal and future customers, to build a better engine, that will in turn be a fitting tribute to Steve. We look forward to seeing these engines continue to steam and win awards all across the showgrounds for many years to come.